Mommy McWolf's Musings | Sharing my newfound knowledge as I juggle diet, health, motherhood, career, and everything in between. Yep, that’s right, I made more soup. It’s gonna be a cold week here in North Carolina, so it was perfect timing (for a change). My friend Cindy gave me this recipe a couple years ago and what’s great about it is the flavor. It’s not too spicy or exotic for kids. 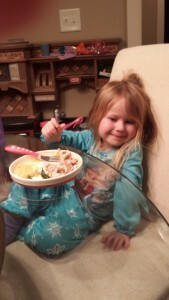 My daughter (and husband) eat it like it’s going out of style. I mean it, I never seen them eating something so fast. They love it. Instead of kielbasa, I use ground breakfast sausage and throw in some spinach. Check it out and let me know what your kids think. Some days I just can’t seem to get it together and today was one of those days. I started some broth last night in hopes that I could make soup tonight for dinner, but I forgot to turn the stove on and ruined it. Then, I thought I had some ground beef in the refrigerator and when I got home, I realized it was in the freezer. My kids go to bed around 7:30 so there was no time to thaw it out. 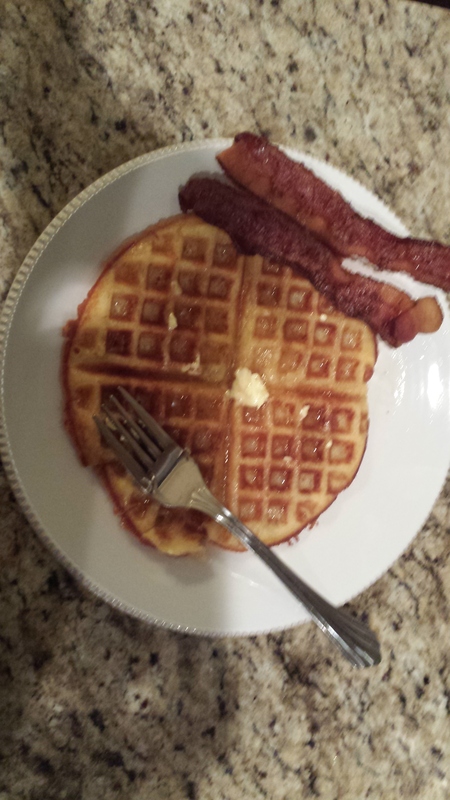 I happened to see some bacon while I was looking around in the refrigerator and said screw it, we’re having Brinner (Breakfast for Dinner)! If you know me, you know I love soup. I make it all the time, at least once a week. I even make my own broth using Diane Sanfilippo’s recipe. Homemade bone broth is rich in minerals and is even replacing the traditional cup of coffee. Some people think it’s just another fad, but I would have to disagree. I can feel it’s effects. There’s always a pot on my stove, especially when someone in my family is sick. 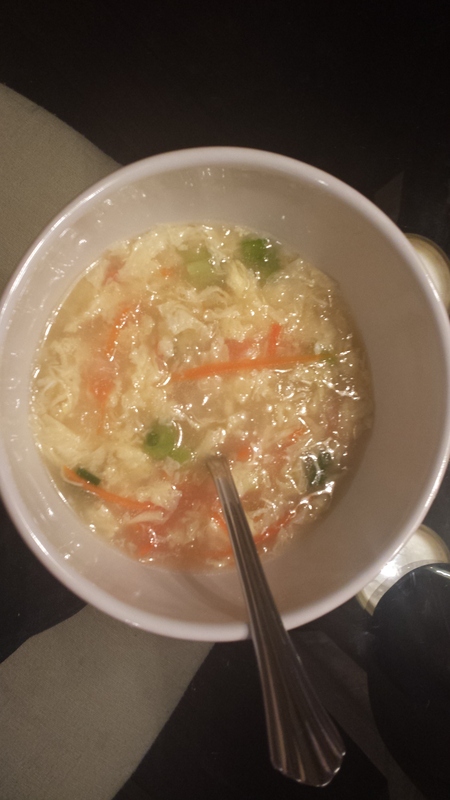 Last week’s batch of bone broth was used to make Egg Drop soup! That’s right, P.F. Changs ain’t got nothin’ on me or you for that matter. It’s so easy to make. 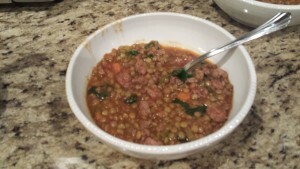 I stumbled across this recipe on paleoparents.com and thought it was delicious. We ate it for dinner, but this family eats it for breakfast. Check it out.